Sometimes when you know exactly the style or type of window you are looking to install in your home or business, the search can be exhausting. Sure, stock windows that window companies may have on hand can be great at times! Depending on the job, stock windows that are more standard sizes and styles can be exactly what you’re looking for! But if you are looking to add a unique window to your home or office space that isn’t standard, for example an oval window, custom windows are perfect for you! Natick Window Company is proud to offer a wide variety of customizable windows so that you are sure to get the exact window you are looking to add to your personal or professional space, whether it is an oval window or any other less common shape! Each window installation that we do for our clients here at Natick Window Company is just like our clients themselves: unique! ​The product that suits one client may not be what our next client is looking to add to their home or business. This is why we make sure that we offer the largest and most extensive selection of custom window options in Natick and Boston Area! We work with many of the top window manufacturers in the industry to make sure that we offer nothing but the best in quality and custom window options! Adding new custom windows to your home can be a great creative process, since custom windows from Natick Window Company offer you the opportunity to choose each aspect of your individual window, from the hardware itself to the frame and the pane of the window. Each custom window creation is unique and will be a great addition to your home or business! 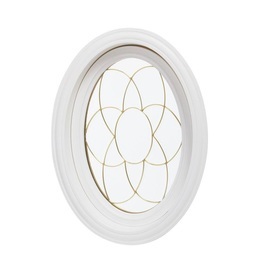 Do you have oval, or other custom windows already in your home? Are they in need of repair or replacement? Custom window maintenance can be more extensive than that of stock windows, since the framing and other details of the window itself are not standard, like you would see with stock windows. Natick Window Company is here to help with all of your existing custom window replacement and repair needs! Our technicians on staff have worked with a variety of window designs and styles in the past, and are able to help replace or repair your custom windows in no time! Taking care of oval windows in Natick, just as with any other, is the only way to make sure that they last for many years to come. Natick Window Company can provide the necessary maintenance and repairs to these windows to make sure that your custom windows remain a fixed piece of your home for many years. Make sure you work with the best in quality and service for all of your custom window installation, replacement, and repair needs! Call Natick Window Company today at 508-251-8038 to learn more about our custom window offerings such as oval windows, and to hear more about how we can turn your custom window visions into realities, all at a price you can afford!